After voting The Paranormals into round two of Lightning 100's Music City Mayhem, they need your votes again to proceed to round three. The winner of Music City Mayhem will take the stage at Live On the Green this summer and, for the sake of loyalty and legitimate enthusiasm, we're still rooting for the second place winners of our Best Emerging Artist poll. For the price of a few seconds and an email address (to verify that you are a breathing human, not for spamming purposes), you can vote for the local three-piece here. Voting ends at midnight, so don't forget to get in there. If you'd like to catch The Paranormals live, they will be playing 8 Off 8th at the Mercy Lounge tonight. Doors are at 8, and it's free to attend and to vote in the poll! Supporting indie music has never been easier. After taking second place in our year-end Best Emerging Artist poll, The Paranormals are at it again, this time competing in Lightning 100's Music City Mayhem for the chance to play Nashville's summer concert series, Live On the Green. We all know we're going to Live On the Green this summer, so we may as well choose who we're watching while we're there. 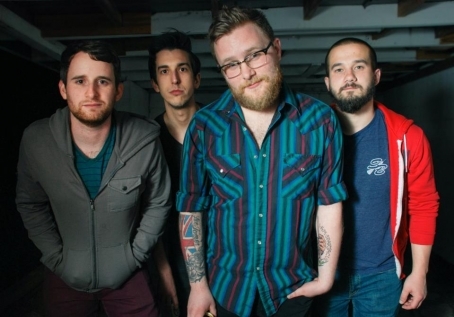 Daniel Ellsworth & the Great Lakes wins our Nashville Best Emerging Artist of 2012 Poll! 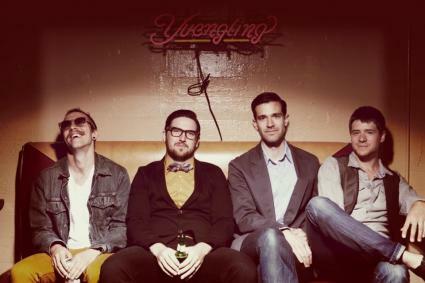 We are proud to announce that The Deli’s Best of 2012 Emerging Nashville Artist is Daniel Ellsworth & the Great Lakes! The band received high scores all around in our poll, with votes pouring in from jurors, Deli writers, and readers, which is something quite rare and conjures up a fully deserved win. 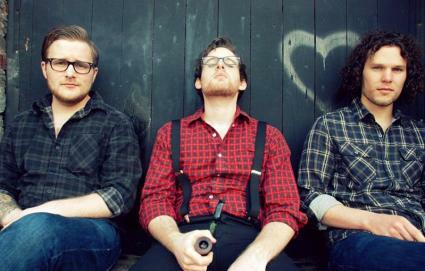 Indie-rockers The Paranormals placed second followed by the Southern blues band Luella & the Sun who came in at third. Please take a look at our chart of 50+ Nashville-area emerging artists below. The highest value of votes came from our jurors, who included individuals involved in local music. This includes promoters, venue owners, press, DJs and other music experts, who are listed below (thanks y’all). The remainder of the votes was compiled by The Deli Nashville contributors, readers, and open submissions voted on by national Deli editors. Jurors List: Brianne Turner (The Deli Nashville), Chris Mara (Welcome To 1979), Marissa Moss (Lockeland Springsteen), Louis (The Groove), Erin Manning (The Deli Nashville), Justin Hammel (Lightning 100), Brandon Jazz (Mercy Lounge), Jesse Willoughby (ASCAP), Steve Cross (photographer), East Nashville Underground (East Nashville Underground), Patrick Rodgers (The Nashville Scene), Elise Tyler (The Stone Fox), Mike Reuther (OurVinyl), Kyle Kelly (Villain Place), We Own This Town (We Own This Town), Wells Adams (Lightning 100), Cayla Mackey (Native Magazine), Allen Ralph (OurVinyl), No Country For New Nashville (No Country For New Nashville), John Walker (Music City Roots), Lloyd Aur Norman (Villain Place). Nashville's underground music scene rules! The usual 8 Off 8th rules apply: Eight bands, three songs each. Featuring two well-stocked bars and two solid lineups, this is basically a free, one-night music festival. Doors at 8. See you there!